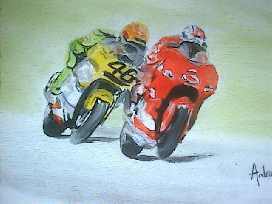 Surely the top two men in motorcycle Grand Prix racing at the time - Max Biaggi and Valentino Rossi battle it out at the Dutch G.P at Assen - 2001. Postcard size acrylic. 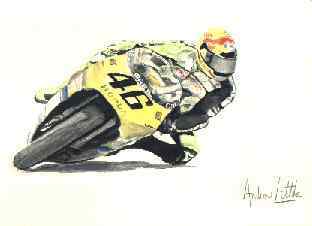 Valentino Rossi - Motorcycle Grand Prix Rider. Gouache. 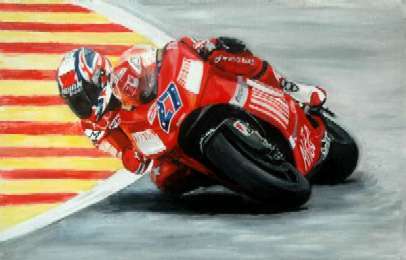 Casey Stoner at the San Donato corner during the 2007 MotoGP race at Mugello. 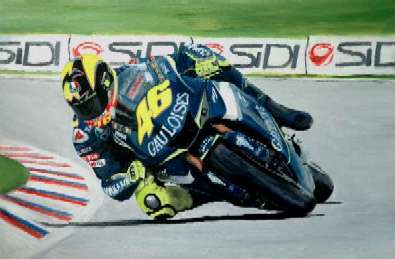 Valentino Rossi at the Czech Grand Prix in Brno on his way to the 2005 World Championship.